We utilize the 'four' natural elements to silence our mind and access the etheric 'fifth' element. Air, Water, Earth and Fire are meditative passages leading into Silent Knowledge and the Dream Realm. By focusing on the elements, your intuitive self is activated and acts as a vehicle into the unknown. 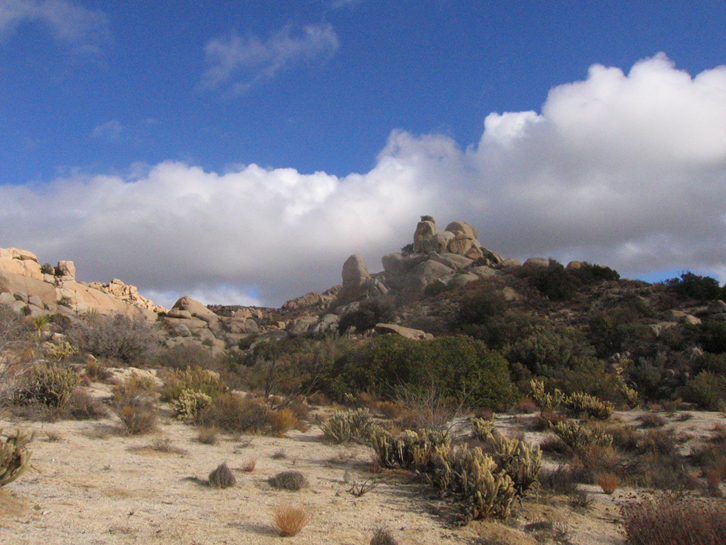 A PATH OF HEART: We were given the gifts of land and art, and the capacity to share them. In the late 90's we began to build Earthwork Sculptures that could be used to enhance Dreaming. We have followed Silent Knowledge, Energetic Patterning and Impeccable Timing when constructing Four Environmental Stages to facilitate your "take off", and the widening of your perception. After many walks on the Institute Grounds natural landscape it was obvious that the Earth Element was already complete. Imagine, walking freely within our magical landscape where every rock, plant, animal and bird are waiting to give you an answer to your deepest questions. Imagine connecting and unifiying your energy with the Earth through laying on warm rocks, and amplifying your awareness with the mother. 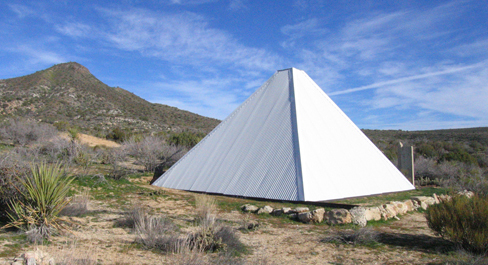 In 2006 we designed and built a white pyramid with an open top, to be both a tribute to the Toltecs, the original Artist/Mystics of this Southwest area, and our Air Element environment. Imagine lying within a Pyramid that focuses your spirit into the firmament. Imagine using the Pyramid as an echo chamber to improvise an infinity of sounds. 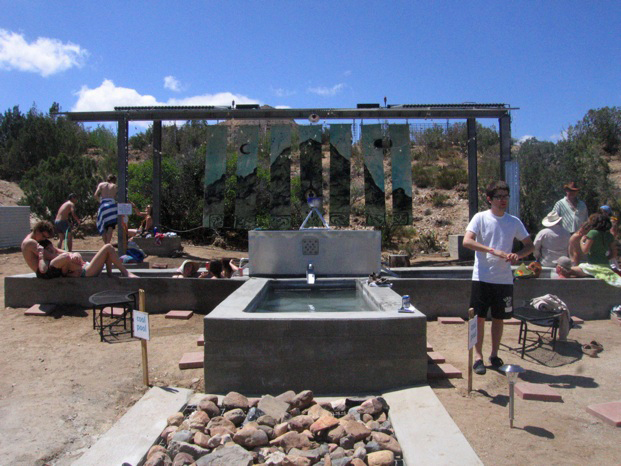 In 2009 we have completed "WaterSight", a natural solar enhanced hot springs with four Dreaming Tubs. Imagine yourself floating within sculpted tubs constructed to envelope you in the safety of warm mineral water, allowing you to project your energy body towards the moon and stars. 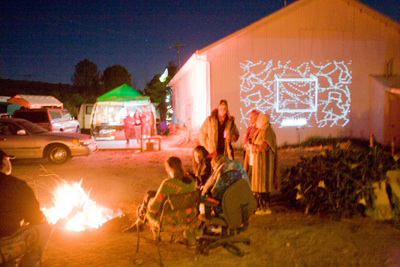 With gatherings like TeleMagica, the Community Fire has been activated. Imagine the magic of meditating around the camp fire at night, the flames purifing all internal dialogue, leaving a group of people sharing clear energy in the silence of the land. Our four elemental stages are ready for your "Dreaming".